From beautiful ready pieces to customised gowns and bridal lehengas, Barely Pinck by Sneh, does it all. Sneh Nandu’s ideas and designs are extremely original and beautiful. Sneh herself is extremely sweet and helpful. Her pieces are definitely one of a kind and are sure to make you stand out from the crowd. Her designs are the perfect mix of indian and western and can definitely be worn to more than one occasion. The entire vibe and decor of the place is beautifully French themed. You instantly fall in love with the place and Sneh makes you feel right at home. 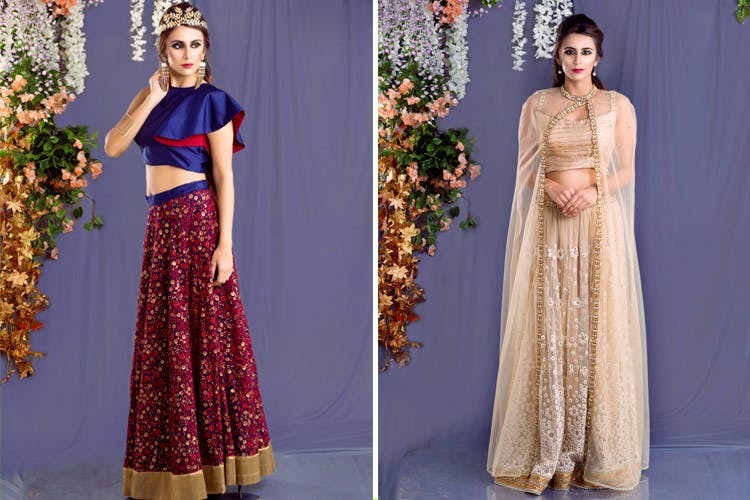 Be it gowns, dresses or your wedding lehenga, trust Sneh to give you the right price. She’s an extremely talented designer from NIFT Mumbai and you definitely need to visit her studio if you or anyone in your family or a friend is getting engaged, married or simply throwing a fancy party that requires you to look classy. Its always better to book an appointment with Sneh first.